Tell a Friend and get a FREE gift! 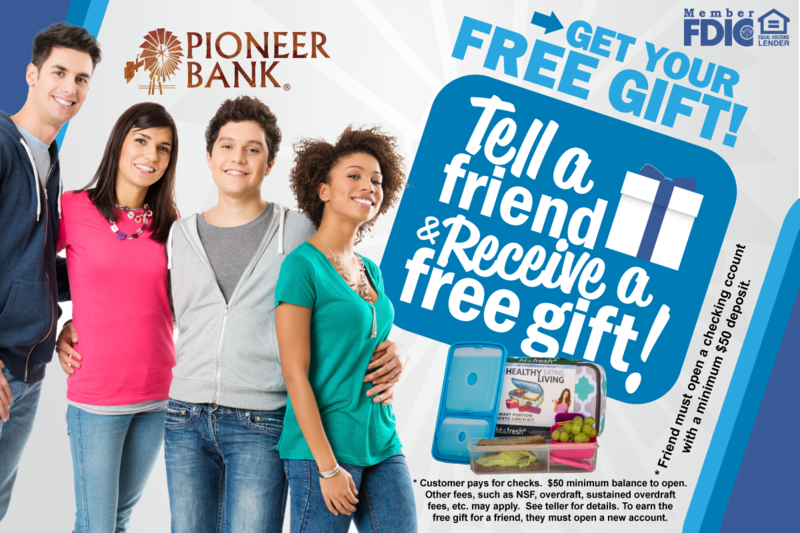 Tell a friend about Completely Free Checking and when they open an account, you both get a FREE Gift! This month the gift is an awesome lunch chiller. A great lunch carrier with a lid that holds ice containers to keep your food cool all day. This also comes with a carrier and two smaller containers for snacks. Contact your local branch for details. Tags: free gift, share, tell a friend. Bookmark the permalink.